We've lots of unique creative gift ideas here in the Alberta Badlands - women's costume jewelry, whimsical home decor, cool handbags, handmade ceramic pottery, decorative couch pillows and a few surprises that will even make your man's head turn! Expect the unusual and the unconventional when you finally make it through our doors. 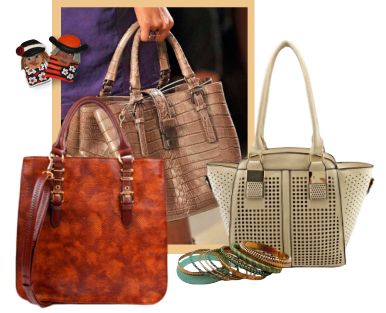 When it comes to accessories, at That's Empressive! you'll find the unexpected and anything but the traditional bits and pieces that are available in your local mall. Costume jewelry is what brings fashion's finishing touch to any outfit. If you have a hankering to add some bling to your favorite get-up, come see the statement jewelry from our standout collections. We have baubles, bangles and beads that will give you a thrill. Especially big chunky bracelets, necklaces and earrings that were seen on the runways last year and aren't going away anytime soon: chokers, flamboyant bibs, multiple strings of glass and resin beads embellished with silvered trinkets, large faux pearls that frame the neckline like a froth of bubbles and stunning pendants in jewel tones . . . we have them all. And of course we have earrings and bracelets to coordinate or match. And if you MUST carry everything but the kitchen sink, do it in style with one of our amazing handbags...totes, satchels, bucket bags or crossbodies. We often bring in a single bag in a certain colour or style. What I'm hinting at is that if you snooze you loose because your neighbour might have got here before you! Speaking of neighbours . . . They want unique affordable gifts, too. My neighbours are ranchers and dry land farmers...a conservative bunch..who don't like throwing their hard earned money into the wind. So our prices are reasonable and that's another reason for you to drop by the store. We have western wear from a local fashion designer, books by local authors, original and limited edition art from First Nations' artists. And of course we have a wonderful selection of unique creative gifts from places in the world other than our own backyard. But we carry more than fashion accessories. Up your style and revitalize your space with a few choices from our fun collection of decorative pillows. 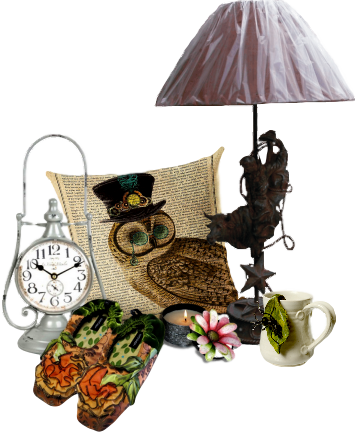 They'll add instant character to a room and a little bit of whimsy to your sofa or bed. Especially if you insert a little ambience and set the mood with candles and contemporary candle holders. Its an easy thing to find a unique creative gift for the table. We have a soft spot for handmade ceramic pottery ... especially handmade pottery mugs and bowls. 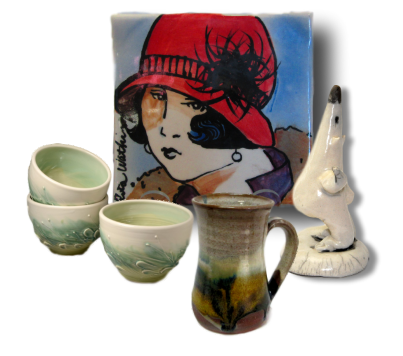 We love that every artist develops their own glazes, colours and textures that mark their own signature style. Each mug or bowl is a high quality piece of functional and decorative art. Soon you'll be able to buy some of those things in our online store and save yourself the trip...BUT...Empress Alberta is the eastern gateway to the Great Canadian Badlands and there's lots of reasons to gas up the car and head in our direction. AND one half of one street is in Saskatchewan! Besides that, we're only a short drive over flat prairie, through river valleys, past coulee landscapes to the famed Dinosaur Provincial Park World Heritage Site - and a bit further west the Royal Tyrell Dinosaur Museum. My point is this . . . I'm so dang far from wherever it is that YOU live that I feel the need to go to great lengths to make your trip worthwhile. Why would you want to shop at your local Mall when you have a chance to buy something that's one-in-a-million or maybe even one-of-a-kind? The pumps are open 6am to 9pm seven days a week including holidays. If it's after hours and you're REALLY desperate, give us a call and we'll see if we can help. The next fuel is either an hour north or one and a half hours south so don't take chances. We're not a real grocery store but chances are good that we have what you need to tide you over until your next trip to the city. 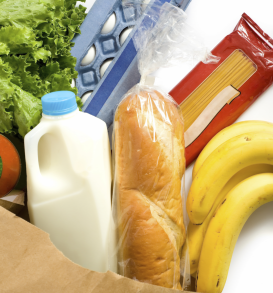 We have milk, eggs cheese, butter, canned goods, cereals, condiments, baking supplies and a good selection of chips & chocolate bars - all within reach of the pop cooler. 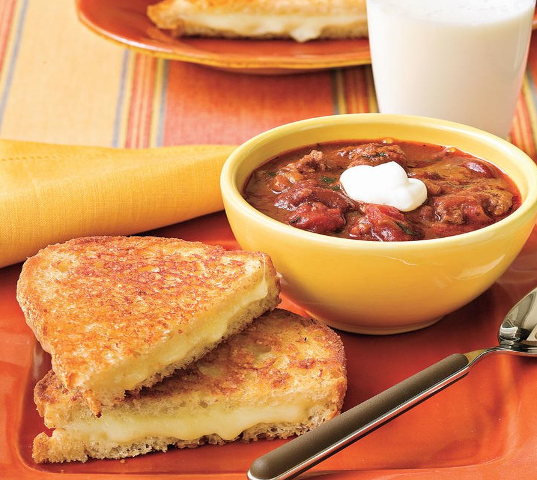 Chili and toast, soups, sandwiches, world famous chocolate cake AND a chance to visit with the locals! Because we live in a small village everyone chats with everyone else when they sit down for a coffee or a snack in our little restaurant. Don't be shy...we all love the company!